Find The Bulb That Is Right For You! We Have a Large Variety Of Lamps For All Of Your Lighting Needs. Save Money And Energy By Switching To The Latest Cutting Edge Technology. LED and CFL Bulbs Will Last Much Longer Than Traditional Lamps. Browse a variety of high quality Fluorescent Bulbs at WCS! Check out our selections of High Intensity Discharge Bulbs! Replace your old lamps and save money with the latest, cutting edge LED bulbs! Light Bulbs have become a commonplace in the modern world. Thomas Edison's version of the incandescent bulb ushered in a new age of electricity and lighting. Now there are several different types of lamps that you can buy for various fixtures. Fluorescent bulbs are generally long linear tubes that fit into a Fluorescent Fixture regulated by a ballast. 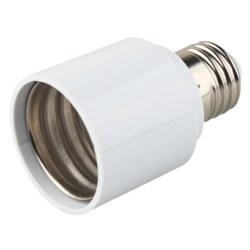 Compact Fluorescent bulbs are fluorescent lamps that can be placed in all sorts of fixtures. They use less power and run cooler than traditional incandescent lighting. HID Bulbs are meant for High Intensity Discharge Fixtures. 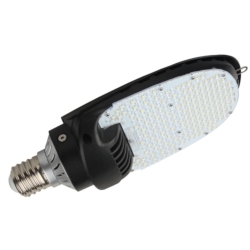 There are different types of lamps for each variation of HID Fixture. There are High Pressure Sodium Bulbs (HPS), Metal Halide Lamps (MH), Mercury Vapor Bulbs (MV), Low Pressure Sodium Lamps (LPS), and more. Compact fluorescent bulbs wholesale bulbs and more! 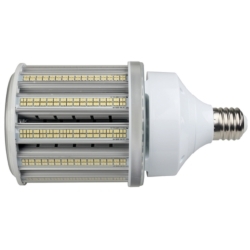 LED Bulbs are the latest and greatest addition to modern Light Bulbs. LED, or Light Emitting Diode, Technology runs cooler and uses much less energy than even a Compact Fluorescent Bulb. LED Bulbs can also come in several different color variations and styles. 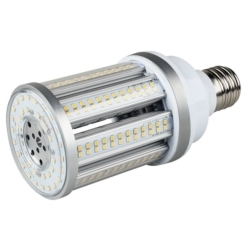 LED Lamps can also be smaller than other Lighting Bulbs, because of the size of the Diodes. LED's are popular because they allow companies and people to save money on their energy bills. LED Bulbs also last much longer than any other form of Lamp on the market.